For some of us, it’s the bloating and bellyache after polishing off half a block of cheese. Then, there are others who get a headache after eating a bowl of pasta. Sadly, even when we LOVE certain foods, they’re not always the best of friends with our bodies. WHY?? We know that food allergies exist, which we can typically diagnose with a blood test. But, there are also some common food sensitivities, and they can be tricky to recognize. Now, this isn’t a full-blown, throat-closing allergic reaction to certain foods. Symptoms of common food sensitivities tend to be more mild, like gas, cramps, or nausea. But, even though these symptoms can seem minor (we may not even notice them), they can have serious consequences on our health. Those symptoms are signals from our body that something’s not quite right. So, we need to listen to them! Because, if we let a food sensitivity go unchecked and keep eating that food, we can do damage to our bodies. 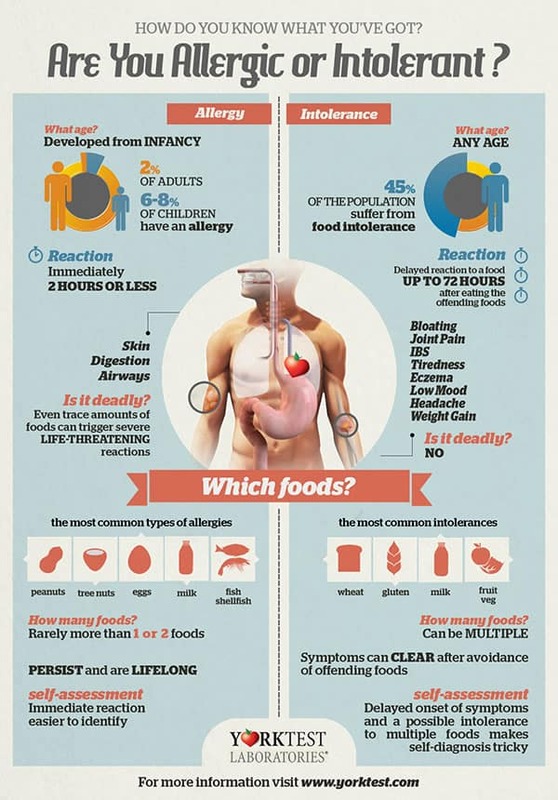 Do you have any food sensitivities? Learn how you can find out! If you have a food sensitivity, that food produces a not-so-great reaction in your body. And, this can range from tummy troubles, to gut inflammation, to a full-blown allergic reaction in some people. If you have a specific food allergy, gluten-intolerance, or lactose-intolerance, you’re probably very aware of those sensitivities. But, we’re not talking about allergies here. Many people have these common food sensitivities or mild intolerances, but don’t even realize it. Why Are We Sensitive to Certain Foods? Now, although many people share these common food sensitivities, they affect each individual differently. As I mentioned in Inflammatory Foods 101, some foods are inflammatory and disease-causing for everyone. Processed foods, trans fats, refined sugars/carbs, and plenty of other common foods can set off an inflammatory response in the body. But, common food sensitivities fall into a murky gray area. They can be inflammatory and disease-causing for some of us. A person is sensitive to a certain food because their body mistakes it as something harmful or dangerous. So, anytime we eat those sensitive foods, our body sounds an alarm. Then, our immune system responds to those ‘dangerous’ foreign invaders, just like it would respond to bacteria or a virus. That’s why we experience those uncomfortable symptoms. But, if we eat foods that we’re sensitive to frequently, our immune system has to fight that battle ALL the time. And, this can lead to gut strain, inflammation, and even the development of autoimmune diseases. Who’s Affected By Common Food Sensitivities? The short answer: just about everyone. And, you could go through your whole life without knowing it. Generally, most of us get used to the way our bodies feel and accept it as normal. So, we don’t ever question the foods we’re eating—especially because many of these foods are considered healthy! And, these common food sensitivities don’t necessarily affect everyone else the same way. digestive issues, like Irritable Bowel Syndrome (IBS) or leaky gut. autoimmune diseases, like celiac disease, type 1 diabetes, Inflammatory Bowel Disease (IBD), and many, many more. Our immune system works hard to protect us from ‘foreign invaders’ like viruses, bacteria, and other toxins. But, in an autoimmune disease, the immune system goes haywire and the body attacks itself. Basically, the body starts to mistake its own healthy cells for ‘foreign invaders.’ When the immune system has to constantly attack those ‘invaders’ (our food) with inflammation and antibodies, it gets overworked. Then, our normal, healthy immune system response gets thrown out of whack and starts running wild. 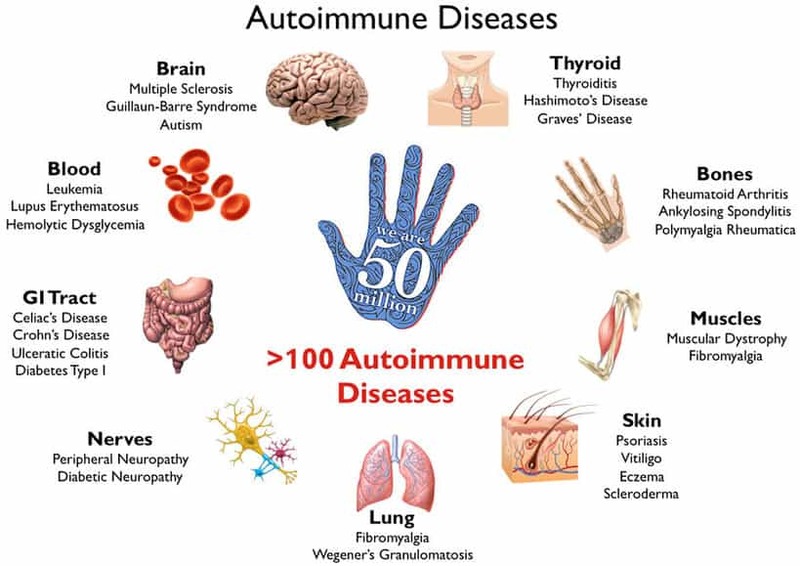 Altogether, autoimmune diseases only affect about 3% of the population. But, some autoimmune diseases have become more prevalent in recent years (like celiac). And, for those who do suffer from them, the consequences can be severe. Having an autoimmune disease doesn’t just damage the body—it also increases the likelihood that you develop other autoimmune diseases. Can Common Food Sensitivities Lead to Autoimmune Disease? genetics make some people more susceptible. BUT, only around 1 in 10 of those people actually develop autoimmune diseases. environmental triggers like viruses, bacteria, or other toxins can set off or worsen an autoimmune disease. the food that we eat regularly also plays a role in developing or worsening autoimmune diseases. Some autoimmune diseases, like celiac or IBD, are related to specific foods or the gastrointestinal tract. But, newer research suggests that our diet can impact whether or not all kinds of autoimmune diseases develop. And, our diet can even affect how quickly autoimmune diseases progress, or whether or not they get worse. 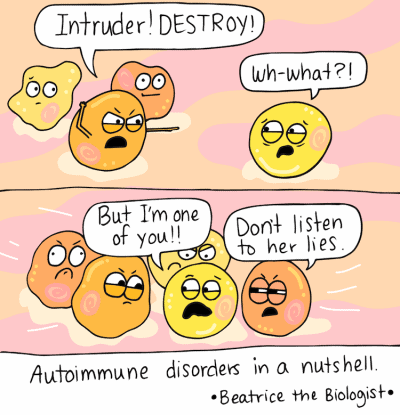 This even applies to autoimmune diseases that are NOT related to the G.I. tract! If you think about it, this is pretty logical. Common food sensitivities set off our immune response. Then, we may experience mild symptoms, but nothing severe enough to question the food we ate. And, if we continue eating these sensitive foods, our immune system has to keep fighting and fighting. That constant battle can overwork the immune system, and it may go haywire. Plus, researchers are discovering that straining the gut in this way can make matters much, much worse. Newer evidence shows that gut permeability—a.k.a. 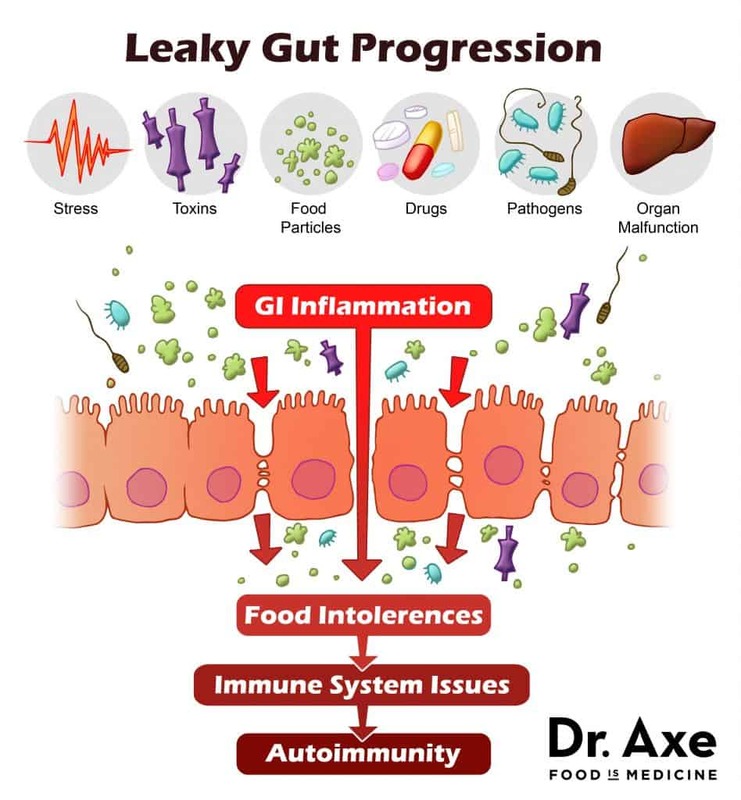 “leaky gut”—can lead to the development of all sorts of autoimmune diseases. Our gut lining is the barrier that stops toxic foreign invaders from escaping into the bloodstream. And, a healthy gut lining lets very few things (mostly nutrients) pass through. But, our tightly-packed gut cells can loosen, making our gut lining more permeable—a.k.a. “leaky.” Changes in our gut bacteria, inflammation in the gut, and even foods that cause us digestive strain can contribute to leaky gut. Then, living with a leaky gut, some of our food remains undigested and fermenting in the body. And, more and more ‘foreign invaders’ can leak out of the gut and into the bloodstream. Of course, this causes the immune system to launch its attack of antibodies and inflammation—pretty much whenever we eat. Recently, research has shown that gut permeability is extremely common in people before an autoimmune disease develops. And this is true in people with AND without genetic susceptibility. So, why does this matter? For people with common food sensitivities, eating those sensitive foods strains the gut. And, the more we strain the gut, the more damage we do to our gut lining. The more we damage our gut lining, the more permeable it becomes. Then, we may develop leaky gut—which can not only lead to uncomfortable digestive problems, but also autoimmune diseases. Autoimmune diseases and leaky gut can all sound pretty terrifying, and they kind of are)… But, we’re not entirely powerless. We CAN take action to protect or improve our health by feeding ourselves wisely. 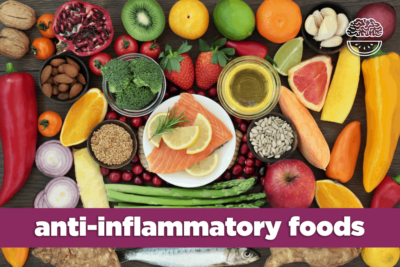 If you don’t have an autoimmune disease, a healthy anti-inflammatory diet can help prevent them from developing. But, if you already have an autoimmune disease (or fear that you might), changes in your diet can alleviate or even eliminate some symptoms. And, our bodies do have the capacity to heal and repair—including a leaky gut lining. By understanding your individual food sensitivities, you can make life a whole lot happier and healthier for your good ‘ol gut. So, what are the common food sensitivities you should be on the lookout for? Grains and legumes are the seeds of plants. They contain plant proteins, known as lectins, which protect seeds from digestion so they can be planted on new soil. But, that digestion-resistance means they can cause our gut some serious strain. Gluten is a well-known lectin, but MOST other grains (and legumes) contain similar digestion-resistant lectins. Just because it’s gluten-free, doesn’t mean your body won’t react to it! 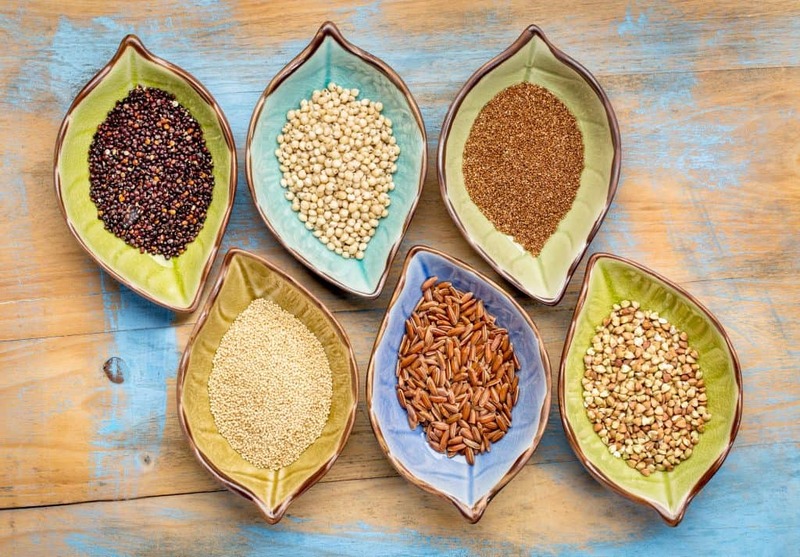 And, the phytic acid in grains and legumes also helps protect the seeds from digestion. But, that’s no good for our gut! And, phytic acid can even prevent our bodies from absorbing essential minerals from those grains and legumes, as well as the other foods we eat. In particular, many people are sensitive to corn and soy. Research studies on IBS (Irritable Bowel Syndrome) find that corn and soy are some of the most-reported foods that contribute to or worsen people’s symptoms. If you are sensitive to corn and/or soy, beware! Nowadays, they’re hidden in tons of sneaky processed foods. Finally, most wheat, corn, and soy that’s produced today is genetically modified. And, many people suspect that GMOs are causing more gut strain and increased sensitivity to these foods. Gluten is probably the most famous lectin. It’s found in wheat, along with other grains like barley, rye, spelt, semolina, durum, and more. And, like other grains, wheat also contains phytic acid, making it tough on some of our guts. 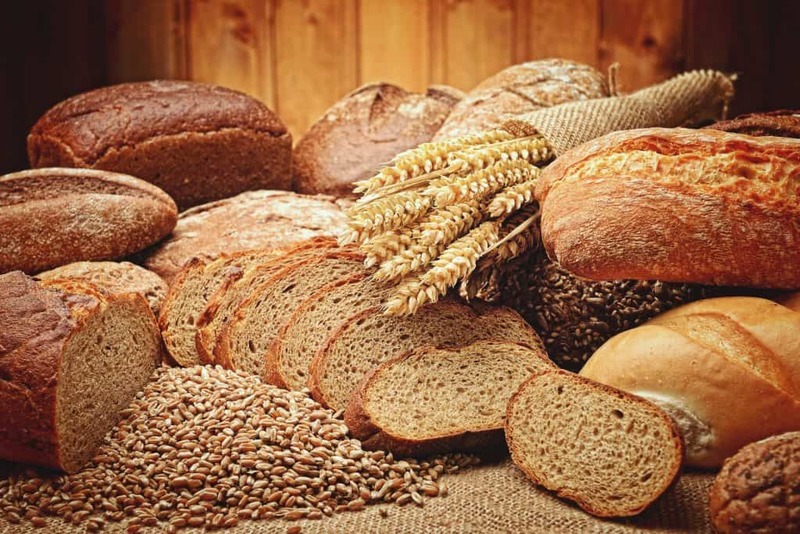 In people with celiac disease, their immune system treats gluten like a dangerous ‘foreign invader.’ But, many people today also have non-celiac gluten sensitivity, which involves mild to severe digestive troubles after eating gluten. And, gluten can be especially irritating in people with IBS. But, gluten is just one of the gut-straining lectins found in wheat. Wheat also contains other lectins, like agglutinins and amylase trypsin inhibitors (ATIs). These are natural insecticides that protect the wheat plant. But, again, they’re tough to break down, and research suggests they can cause inflammation in some people. 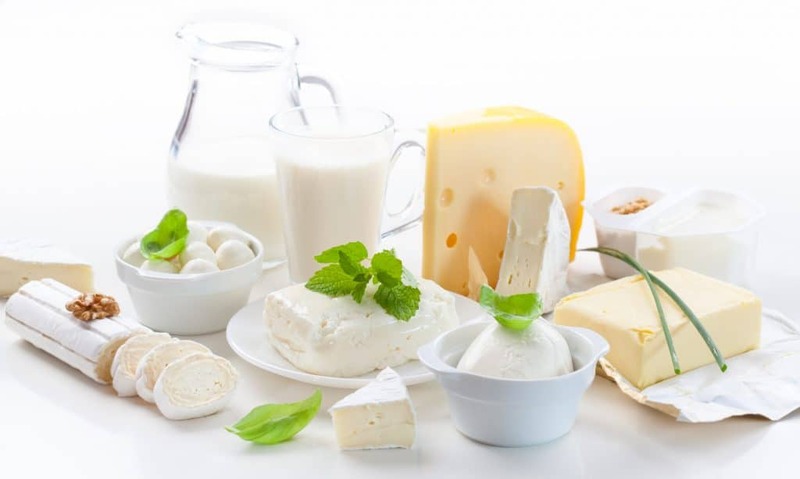 Dairy contains a natural sugar, But, nearly 3 out of 4 people can’t digest it because they lack the enzyme lactase. If you can’t digest lactose, it’s pretty likely dairy could cause some problems for your gut. Also, some people are more sensitive to newer “A1 proteins” in milk and dairy products. These are unnatural proteins—a mutated version of A2 proteins, found in dairy from older cow breeds—that can be hard to digest. But, most modern dairy cows produce A1 milk, and it can be hard to find A2 dairy products. And, most dairy in the grocery store today is also pasteurized, which means it’s heated at a high temperature to kill bacteria. But, that high heat alters the nutrients and proteins, which can increase sensitivity to dairy. Plus, the hormones in dairy products can be problematic for some people—and research even links them to some cancers. 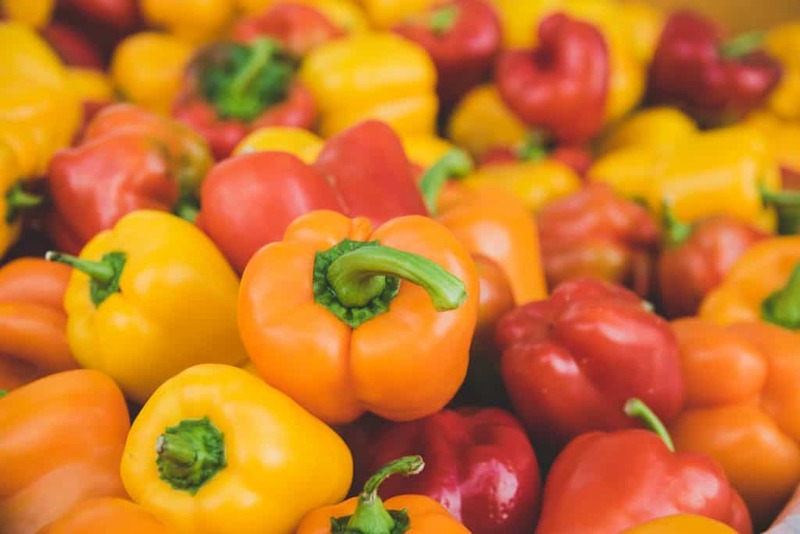 The nightshade family includes vegetables like tomatoes, bell peppers, hot peppers, and potatoes. And, some spices also fall into the nightshade family, like chili pepper, paprika, and cayenne. Despite the fact that these foods can have serious anti-inflammatory benefits, they’re also high in And, much like grains and legumes, those lectins make digestion difficult for some people and can strain the gut. And, these veggies also contain alkaloids, which are a natural insect repellant for the plants. But, much like lectins and phytic acid, they can cause or worsen digestive problems. The allium family includes veggies like onions, garlic, leeks, and chives. 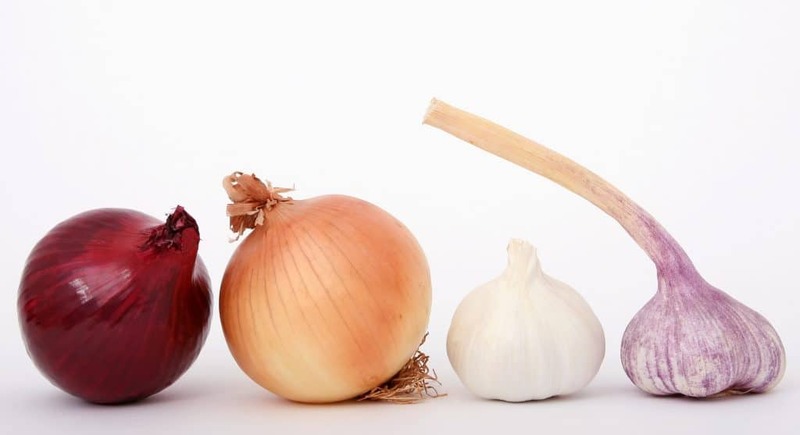 In particular, onions and garlic are SO prevalent in cooking that it can be tough to recognize a sensitivity. 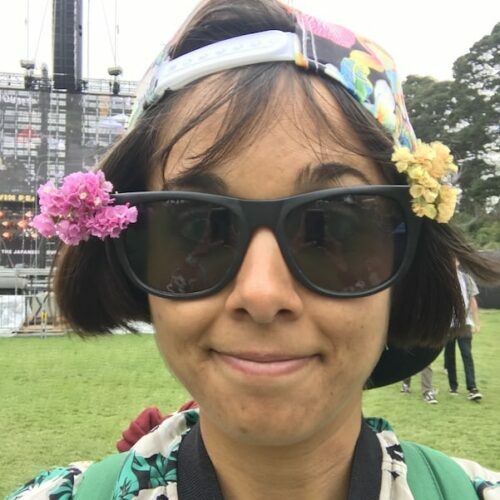 Some people have allium allergies or intolerance. But, others are sensitive to the high concentration of fructans—a type of sugar—that these veggies contain. In particular, people with IBS may experience more difficulty digesting fructans. Fructans belong to a group of other sugars and carbs known as FODMAPs, which can be problematic for those with digestive issues. If you have IBS or are concerned about your digestion, you might want to check out the FODMAP Diet! Unfortunately, unlike with allergy tests, there’s no objective measurement we can take to determine a food sensitivity. So, YOU have to run some tests on yourself. 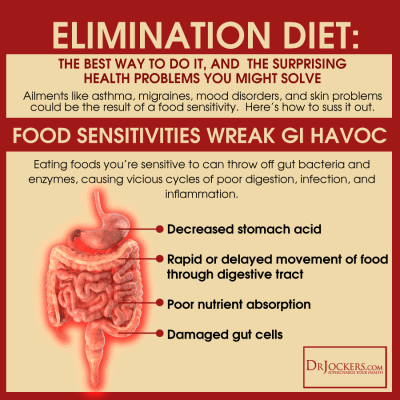 The best way we can identify common food sensitivities is with an elimination diet. If you suspect you’re sensitive to a certain food (or several), cut it out of your diet. Then, over the course 1-2 weeks, see how your body responds. How do you feel physically? Mentally? Emotionally? Are you noticing any changes in how your stomach feels, or in your digestion? For the best results, keep a journal of some kind to keep track of each day. Write down the foods that you eat, whether or not you exercise, your mood—anything that might affect your digestive symptoms. (Also, pardon the grossness, but it’s a good idea to pay attention to any changes in your stool/bowel movements.) And, if you notice some symptoms still sticking around, take note of them. 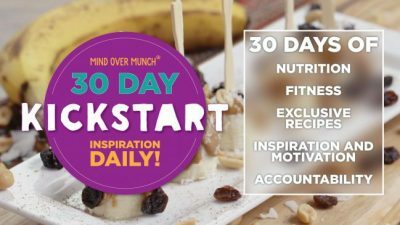 Then, after that 1-2 week period, you can try reintroducing that food back into your diet to see how your body responds. If you don’t see old symptoms and digestive problems flare up again, you probably aren’t so sensitive to the food! Or, if you don’t notice those old symptoms change much during your elimination period, you may have a sensitivity to something else you’re eating. 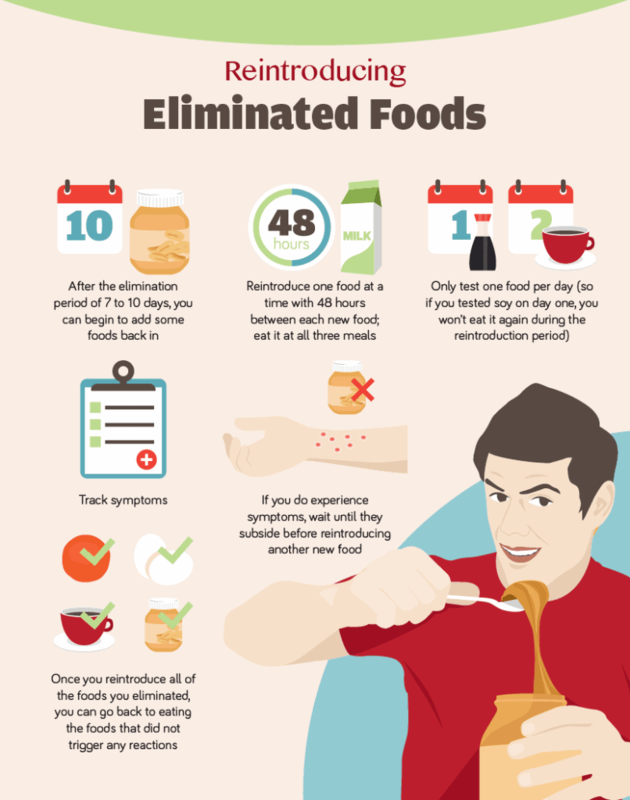 And, you can always try an elimination diet to test for other common food sensitivities, too. But, if you reintroduce a food and start experiencing the same old problems once again, you’ve at least discovered one of your food sensitivities. Remember: common food sensitivities aren’t just about bloating and stomach aches. These are signals from our bodies. Pay attention to how you feel when you eat these foods, and listen to what your body is telling you. And, if you deal with digestive problems or an autoimmune disease, it’s especially important to tune in to your body’s signals. 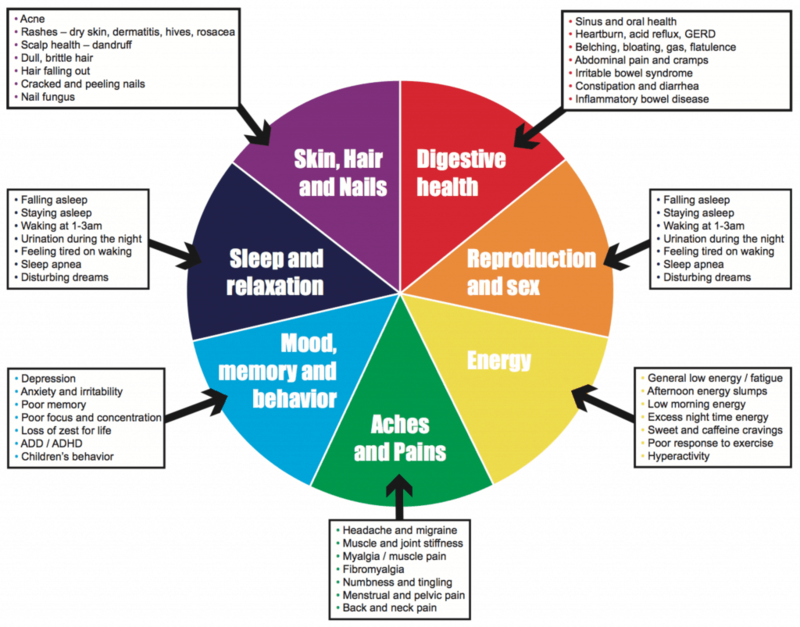 If we make the effort to understand our bodies, we can gain some control over our long-term health.